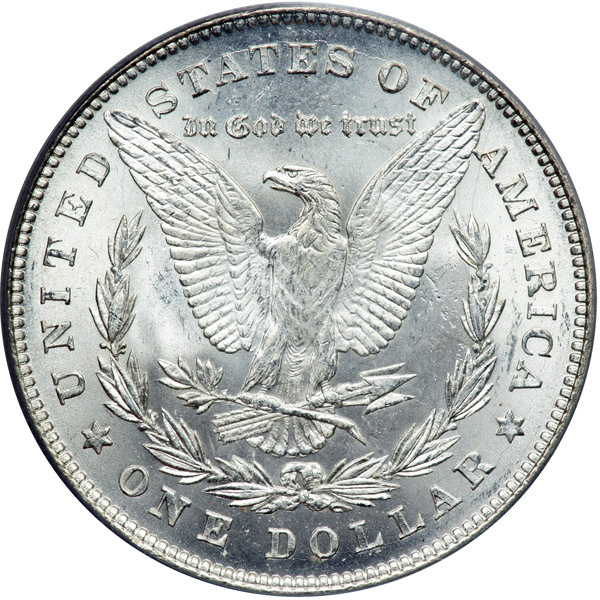 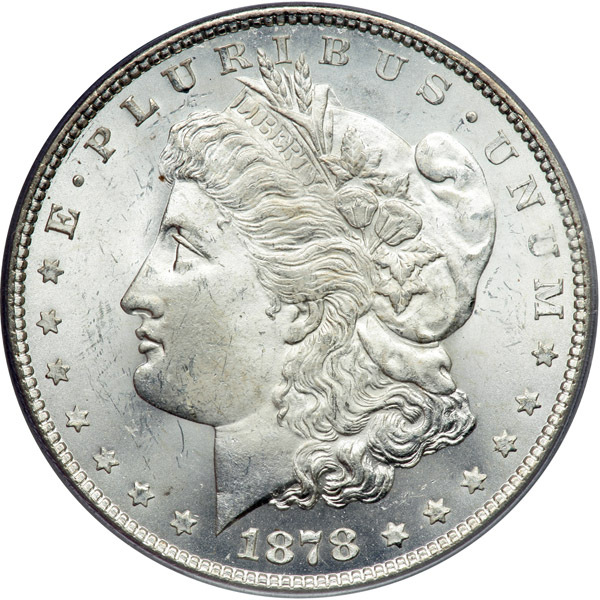 The Bland-Allison Act called for the minting of vast numbers of silver dollars. 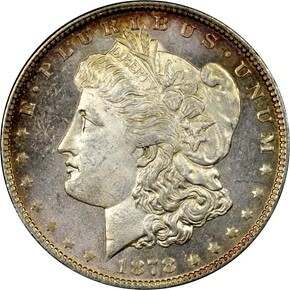 The Mint had to rush through production in order to strike enough coins to meet quotas. Therefore, when the mint made a change from an 8-tail feather design to one with only 7, some dies were actually simply re-hubbed with the new 7TF design. 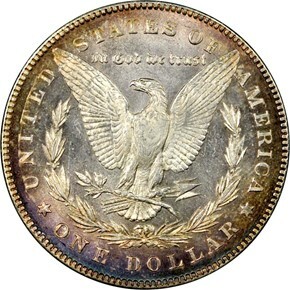 Often, the feather tips of the 8-tail feather design can be seen protruding from the bottom of the eagle. 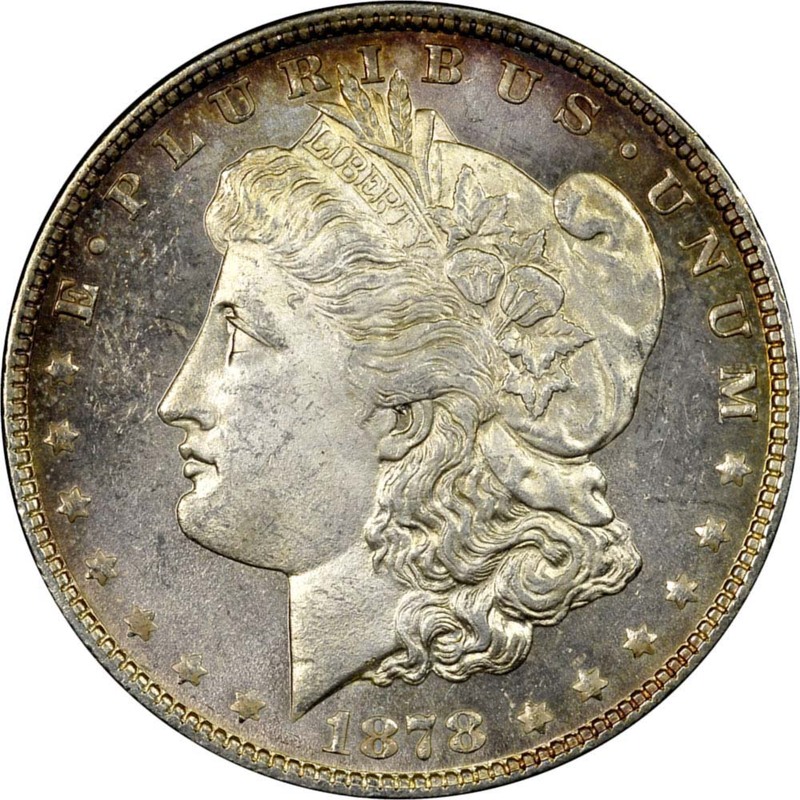 This has created numerous popular varieties which are widely sought.